Full disclosure: I am back in the US, and a bit jet lagged. A good antidote for jet lag – in addition to sleep – is dark leafy greens. So I am eating lots of dandelion, kale watercress and mustard greens. 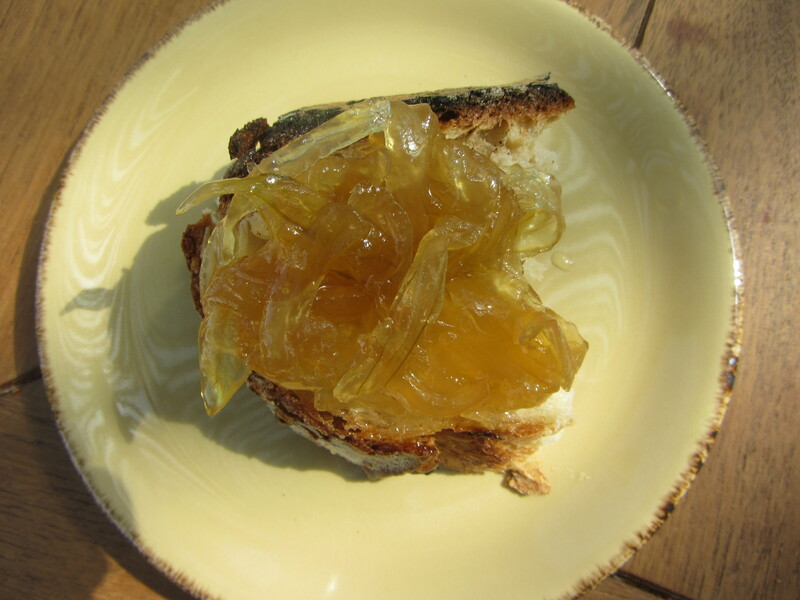 But my mouth still waters when I think of the breakfast jam bar at Beresheet: crocks of carrot, onion, apple and pear jams, along with local honey. Offered with their house-made crusty whole-grain olive and nut breads, yes, they qualify as a vegetable for breakfast. I did not get Chef Boris Paukman’s recipes, but I found a cinnamon, clove and nutmeg-infused recipe for carrot jam from food and wine. I would halve the suggested quantity of sugar, and use organic brown. 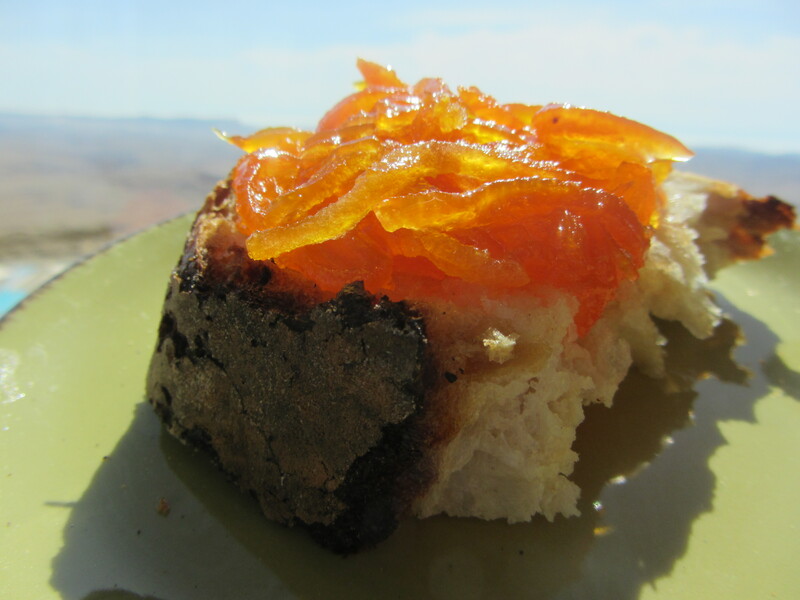 Shown below, top: carrot jam; bottom: onion jam.